Get your hiking gear together and throw a roll of film in your camera for it’s time for National Parks by American Vintage. Summer is finally here and what better time than now to get creative with a project that will inspire you to head outside and start seeing nature’s wondrous sites. Enjoy mixing patterns of cameras and postcards with red, green and brown tonal prints. Use this collection to make the ideal picnic blanket or aprons that the whole family can wear for a summer cookout. One great idea is to make a National Parks photo album. 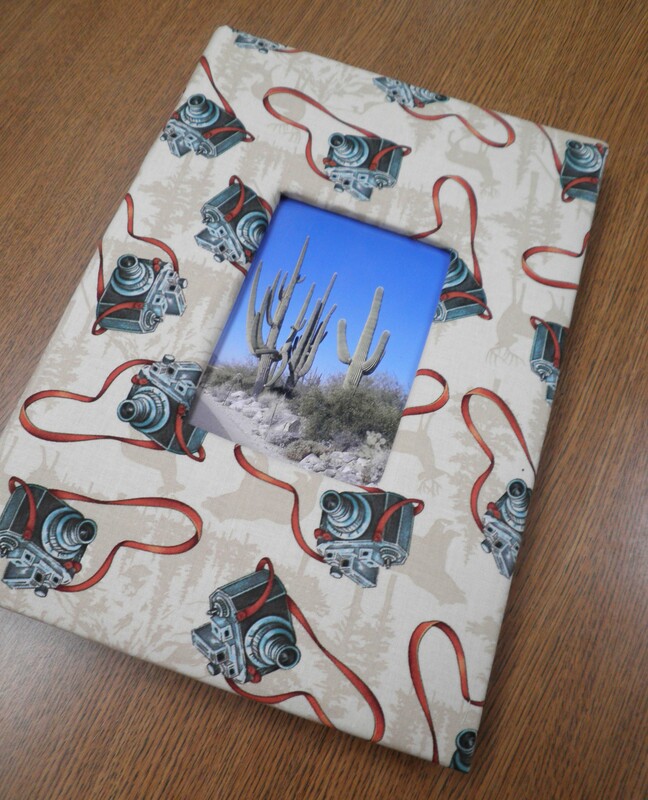 It is the perfect place to store all your pictures from your summer adventures outdoors! National Parks is in stores NOW so don't forget to get to your favorite fabric store. Leave a comment below …What kind of projects you would make with National Parks? I agree that this collection would make a great picnic quilt. If you have small children, you could make them a special quilt and travel size pillow to use in the car. For older children you could also make journal covers so that they can record their memories in journals. Thanks for such a unique collection. I’d make a table cover so I could enjoy the views at home since a vacation isn’t on my schedule. I also think using the fabric for celebrating national holidays, like Labor Day or July 4th is nice because it celebrates some beautiful things about this country. I love both these ideas. Thank you so much for sharing. I really do love and enjoy hearing everyone’s feedback!! !